Metcalfe, of course, was dead wrong: The Internet is still chugging along, with a predicted 3 billion users by year’s end. Still, the Internet’s fate feels distinctly uncertain as 2014 draws to a close. At stake is whether the Internet remains a democratic, user-powered network — or falls under the control of a few powerful entities. Net Neutrality is hard-wired into the Internet as we know it. In a neutral network, users control their experience without their Internet service providers interfering, filtering or censoring. This revolutionary principle is under attack from the phone and cable companies that control access in the United States. In a court decision last January, Verizon successfully challenged the Federal Communications Commission’s ability to protect Net Neutrality, setting in motion a year-long effort to restore the agency’s authority. More than 4 million Americans, including President Obama, have contacted the FCC, with the overwhelming majority demanding real Net Neutrality protections. Watch for a decision on the matter as early as January 2015. Momentum is now swinging in favor of keeping the Internet open — thanks in large part to the forceful public response. The Internet is designed to function as a decentralized network — meaning that control over information doesn’t fall into the hands of a few gatekeepers, but instead rests with everyone who goes online. This has enabled diverse voices to flourish. It’s amplified the concerns of protesters from Ferguson to Hong Kong, given underrepresented communities a platform, and allowed startup businesses to reach millions of new customers. What’s missing is choice among Internet-access providers: Too many communities can choose from only one or two. We need policies that will foster competition, which in turn would lower costs, improve services and ensure that no single company gains too much control over content. This year, Comcast and AT&T are attempting to consolidate their control over all-things-Internet. Comcast, the largest U.S. cable company, wants to gobble up the second largest, Time Warner Cable. If regulators approve the Comcast merger, the company would become the only traditional cable provider available to nearly two-thirds of the U.S. Meanwhile, AT&T wants to take over DIRECTV. It’s up to the FCC and the Justice Department to block these mergers, which would create colossal, monopoly-minded behemoths. The government’s blessing of these deals would teleport us back to a time when just a few media moguls controlled most public discourse. In 2013, former NSA contractor Edward Snowden exposed mass spying programs that violate our civil liberties. This wholesale invasion of privacy has chilled free expression online. There were signs of hope that 2014 would bring new legislation to rein in these government snooping powers. The USA Freedom Act, while imperfect, would have curtailed the NSA’s bulk collection of our phone records and required more oversight and transparency of its surveillance programs. The Senate, however, voted not to consider the bill in November, leaving everyone at the mercy of an agency with a voracious appetite for data. With big Internet providers like Comcast gaining notoriety for dismal customer service, municipal broadband networks have gained traction everywhere from New York City to Monmouth, Ore.
It’s easy to see why: The big providers often refuse to build networks in low-income or rural communities where potential customers can’t afford to pay their sky-high rates. The rise of homegrown Internet infrastructure has prompted industry lobbyists to introduce state-level legislation to smother such efforts. There are at least 20 such statutes on the books. But in June, the FCC stepped in with a plan to preempt these state laws, giving communities the support they need to affordably connect more people. If you value free speech, keep an eye on these four issues as 2015 gets underway. 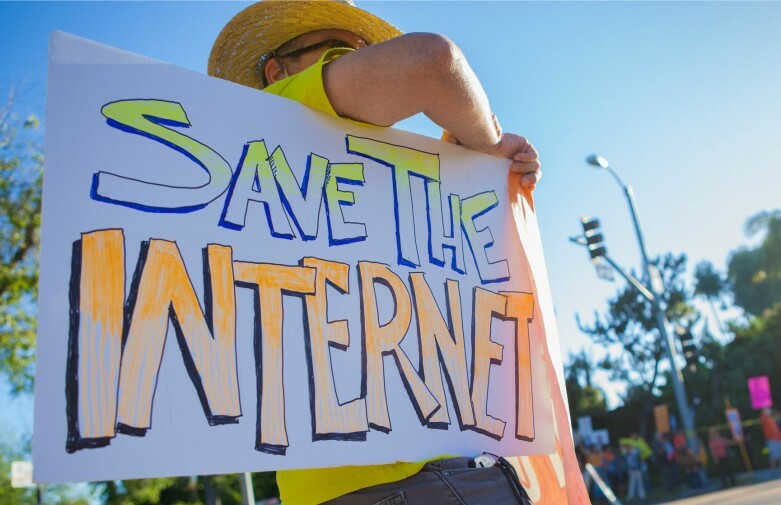 To ensure an Internet that’s open, fast, secure and affordable, contact the FCC, call your members of Congress and support efforts to build a network that works for everyone.